This free downloadable cookbook has over 36 great tasting recipes for every meal of the day. This is a great cookbook since it has many of the same recipes on this site, but it’s in an easy to use format. Simply download and print off. 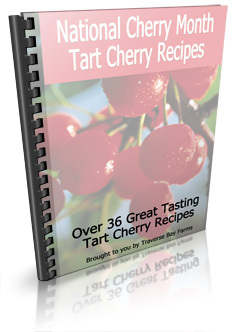 This book is of the leading resources on the structure/function benefits of several fruits including the tart cherry, blueberry, pomegranate and more. You’ll learn how tart cherries help maintain healthy joint function, how they help to soothe sore muscles due to physical exercise and more. 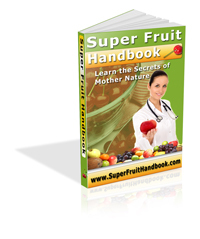 Best of all in addition to delivering the natural health benefits of several different fruits in a easy-to-read format, it also contains a number of the great tasting recipes specific to the underlying fruit.